GIVE IT! How to Bring Your Drumming to Life, gets right to the heart of playing drums and making music. If you’re a new, evolving drummer or you’ve been playing a while, you will find a wealth of information here and discover the vital elements to better, more accomplished drumming, which you can apply immediately to your playing, no matter who you are, where you come from musically, or your level. It is not a technical ‘how to play drums’ book, but takes you beyond the technical skills you need to be a drummer and goes to the core of who you are as a musician and what you bring to the music. It focuses on the music and your role as the drummer and teaches you how to become a stronger, more confident player. 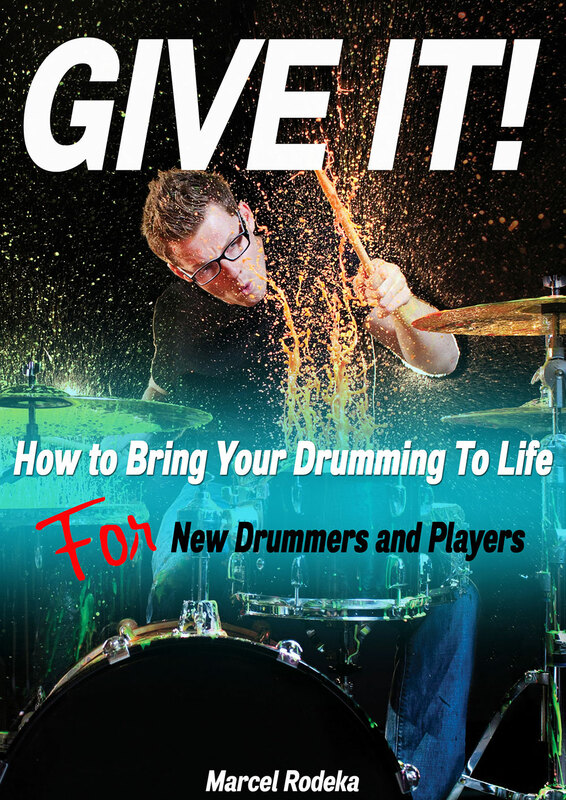 It teaches you how to bring your drumming to life! Play with more CONFIDENCE, PASSION and ENJOYMENT. Experience playing with Dynamics, Empathy for the music, Energy and Power! Feel more motivated and play with a more positive sound. Putting more of YOU into your drumming.